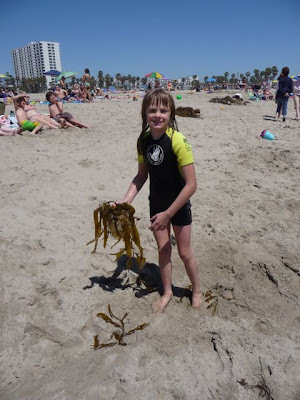 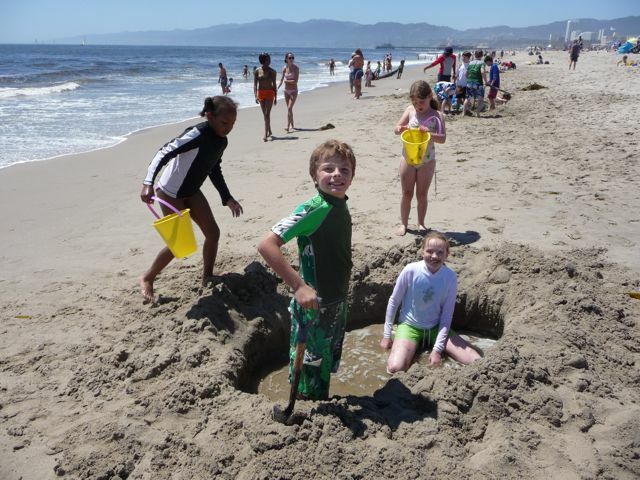 Memorial Day weekend 2010, we were at Ocean Park beach, south Santa Monica, with family and friends, celebrating my nephew's 10th birthday. The lifeguard towers obviously caught my eye (the quoted text is from the Portraits of Hope website). "For persons visually impaired, Portraits of Hope utilized special textured paints. The program also reconfigured a baseball bat provided by St. Louis Cardinal Skip Schumaker into a bat-paint brush that the kids used to paint many of the flowers, fish, and shapes now on panels." 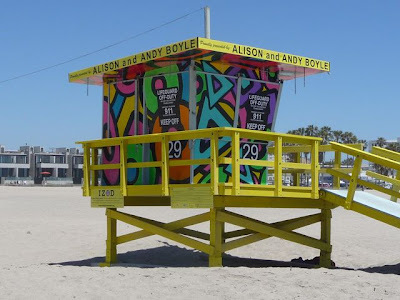 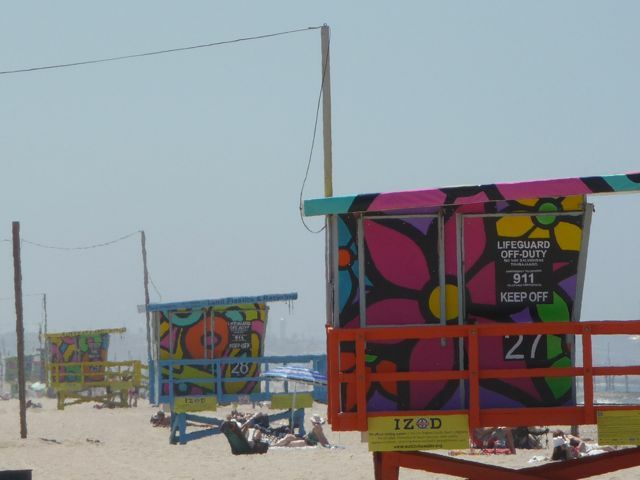 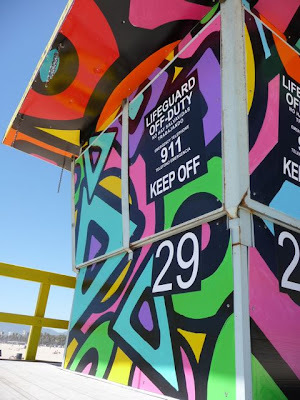 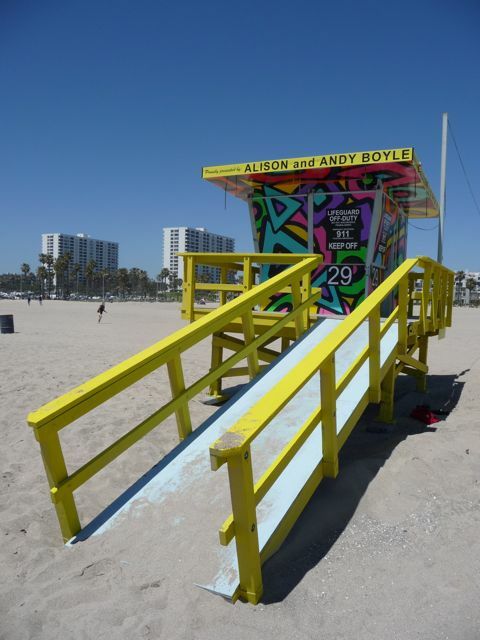 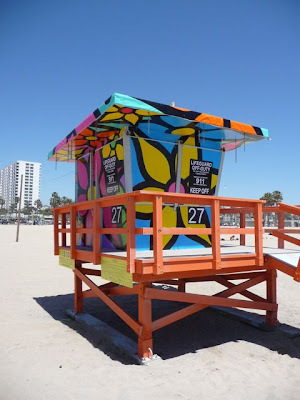 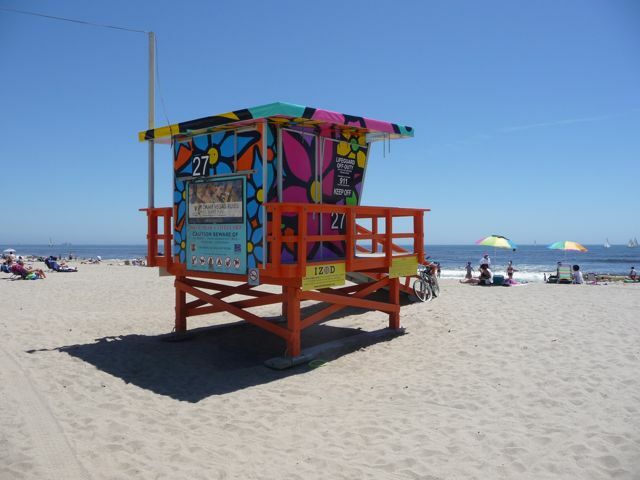 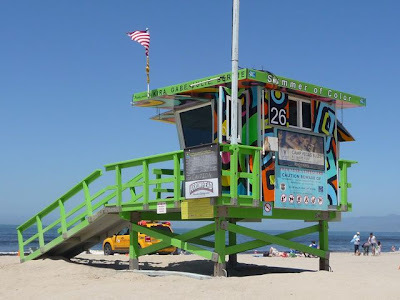 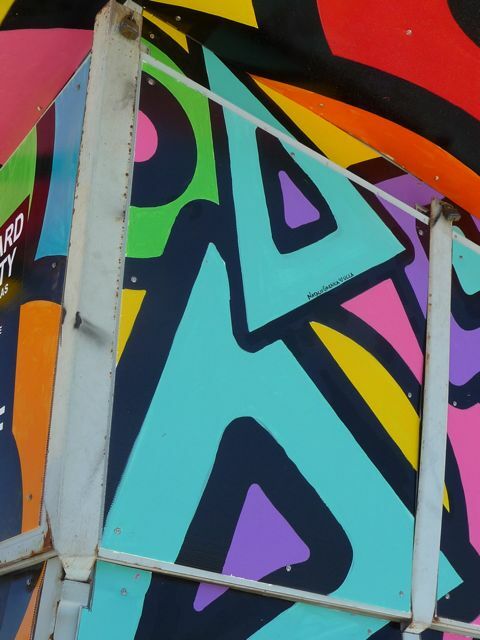 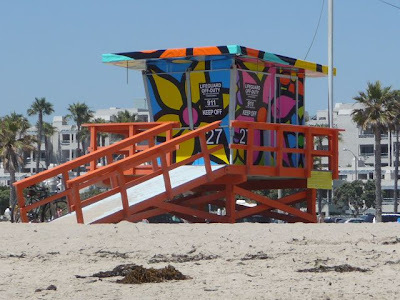 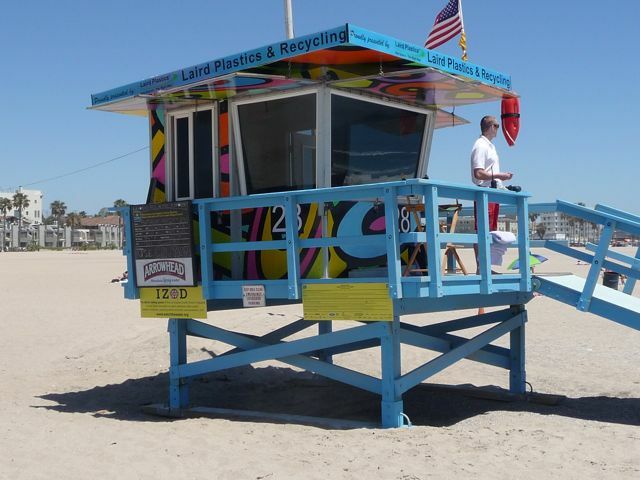 As I said, this time last year we were at the beach and noticed these amazingly colorful panels affixed to the lifeguard stations. Glad I had my camera. 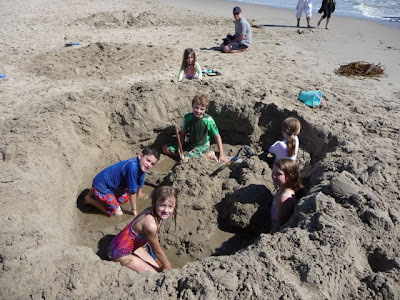 If you ever needed another excuse to head down to the beach this summer, Summer of Color was worth seeing.